Iris Barrel Apfel is someone who dresses to impress. 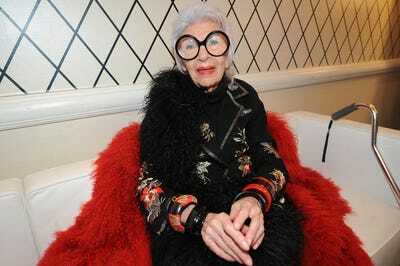 Never one to follow trends, her eclectic style is a mix of high-end, low-end, and vintage duds. 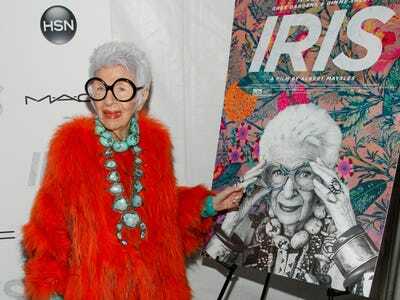 A darling of the fashion set for years, her appeal has officially gone mainstream, thanks to an early aughts museum exhibit, a recent documentary, and modelling gigs with fashion brand Kate Spade, accessories designer Alexis Bittar, and cosmetics juggernaut MAC. 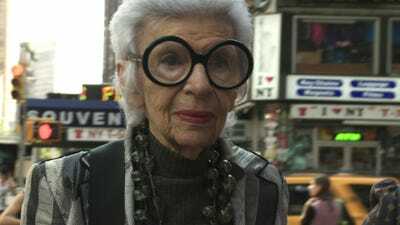 Earlier this spring, a documentary on her life, “Iris,” let fans meet the woman behind those signature giant glasses, and audiences were enchanted, as was one Kanye West (more on that below). Keep scroll ling to get to know fashion’s latest blooming star. Apfel studied fine arts at Wisconsin University and New York University. After working as a correspondent for Women's Wear Daily, she apprenticed for an interior designer and later stepped out on her own as a decorator and textiles importer. 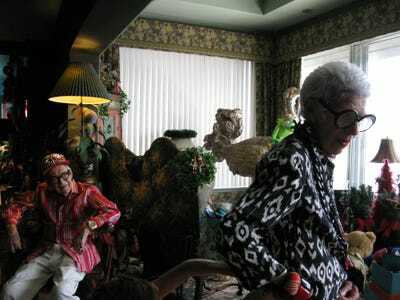 She married Carl Apfel -- who celebrates his 100th birthday in the film -- in 1948 and started Old World Weavers, their design business that sourced and created unique textiles. 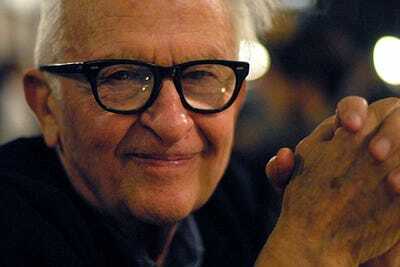 Sadly, Maysles passed away on March 5, 2015. 'Iris' was his last release. 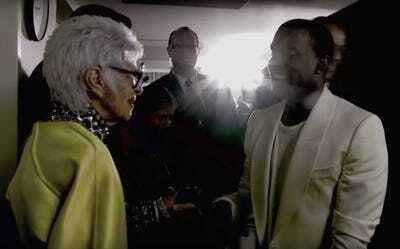 In one of the most talked-about scenes of the film, Apfel tells Kanye West he's a 'handsome young fella' at a Fashion Week event and makes him blush.